When I wrote my books on pet foods some years ago, Feed Your Pet Right and Pet Food Politics, I was reading a lot about veterinary practice and how it has shifted from large animals to small. The shift is so great that hardly anyone trains to be a farm-animal veterinarian anymore. Almost all students focus on pet dogs and cats. The USDA wants to change that, at least a little. It announced an award program of $4.5 million to pay off the school loans of up to 49 veterinarians who promise to work for three years in rural America where veterinarians are scarce. The maximum award is $75,000, which is expected to cover half the average school-loan debt. Recipients may be required to devote at least 80% of their time to work on food animals. Sounds like a great opportunity to get terrific experience. I hope lots of recent grads apply. Paula Young Lee. Deer Hunting in Paris: A Memoir of God, Guns, and Game Meat. How a Preacher’s Daughter Refuses to Get Married, Travels the World, and Learns to Shoot. Solas House, 2013. The topic of this cross-cultural memoir—game hunting—would not ordinarily interest me but once I starting flipping through its pages I found myself reading it cover to cover. For one thing, Paula Lee sounds like someone anyone would enjoy having as a friend. She’s easy to be with as she tells the story of her Korean-American background as a Maine preacher’s daughter, and her partnership with a stuffy but warm-sounding guy in Wellesley, Massachusetts who spends every free moment hunting on his family’s property in Maine. Paula, a trained chef,* cooks what they shoot. She also casts an affectionate eye on the backwoods hunting culture. I can’t say it’s a culture I’d care to adopt (I’m not much for killing animals and Maine winters are cold), but I was fascinated to learn about it from a companion who writes well and tells a good story. I was a member of this Pew Commission, which produced a landmark report in 2008: Putting Meat on the Table: Industrial Farm Animal Production in America. Our report’s conclusion: The current system of raising farm animals poses unacceptable risks to public health, to communities near Confined Animal Feeding Operations (CAFOs), and to the environment. Ban the nontherapeutic use of antimicrobials in food animal production. Define nontherapeutic use of antimicrobials as any use in food animals in the absence of microbial disease or documented microbial disease exposure. Implement new systems to deal with farm waste. Phase out gestation crates, restrictive veal crates, and battery cages. Enforce the existing environmental and anti-trust laws applicable to food animal production. Recently, the Johns Hopkins Center for a Livable Future (CLF) did an in-depth analysis of what has happened with these recommendations. Its dismal conclusion: The problems have only gotten worse. Many hoped the release of the report, which occurred within a year of a change in the administration, would help trigger a sea change in the federal government’s approach to regulating the food animal production industry…Early administrative appointments to top regulatory posts held promise for meaningful changes. CLF’s review of the policy-landscape changes in the five years since the release of the report paints a very different picture. Contrary to expectations, the Obama administration has not engaged on the recommendations outlined in the report in a meaningful way; in fact, regulatory agencies in the administration have acted regressively in their decision-making and policy-setting procedures. The assaults on reform have not been limited to blocking policies…Instead, the policy debate…has shifted to the implementation of policies such as “ag-gag”, agricultural certainty, and right-to-farm laws, all of which are designed to further shield unsavory industry practices from the eye of the public and the intervention of regulators. I think issues are going to drive change at some point. You’ve got this big group of people who want to see change. The problems of antibiotic resistance are worsening–the problems of 500 million tons of (animal) waste we produce each year are worsening and the ground in many areas of the country is really saturated with phosphorous. You can’t transport the material, so you’ve got to disperse the animals. So, the problems are reaching really a crisis point. So that could really force action too. Is there any hope? It sounds like things will have to get worse before they get better. But how much worse? I wish there were better news. Food safety, animal welfare, and environmental advocates: get together and get busy! 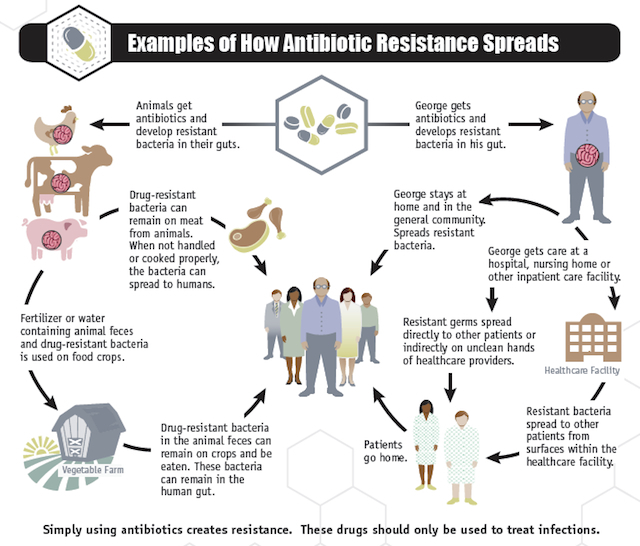 The CDC has produced a major study on antibiotic resistance and how it works. The report provides convincing evidence that use of antibiotics in farm animals must be restricted to therapeutic purposes—and not used to promote growth. Brownell and Gold have produced an instant classic. Food and Addiction presents a comprehensive, authoritative, and compelling case for considering whether food is addictive. Its chapters raise serious questions about our current laissez-faire attitude toward food marketing, especially to children. This book is a must read for everyone who cares about the causes and consequences of obesity and the need for food policies that better promote health. It is a game changer. Readers will never look at food the same way again. The book is a collection of edited pieces by a variety of authors with distinctly different approaches and viewpoints, ranging from the seriously scientific (“is food addiction real?” to to the thoroughly anecdotal (“I am a food addict”). The editors deserve much praise for casting so wide a net and for their cautious interpretation of the available science. Is food addictive in ways similar to alcohol or cocaine? In some ways yes, maybe, and no. Read it and decide for yourself. Martha Rosenberg. Born with a Junk Food Deficiency: How Flaks, Quacks, and Hacks Pimp the Public Health. Prometheus, 2012. This book is better than it’s flashy, misleading title would suggest. It doesn’t seem to be at all about McDonald’s or soft drinks. Instead, the first half is about Big Pharma and the marketing of drugs that don’t do much good but cause plenty of harm. 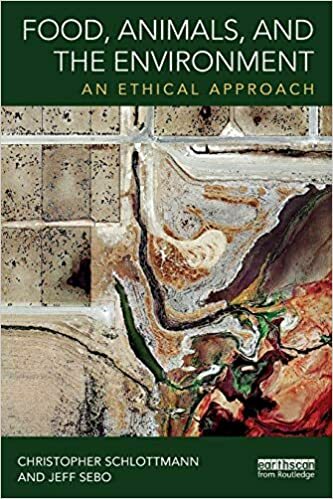 The second half is devoted to the same kind of analysis of Big Food, but mostly focuses on animal agriculture: bovine growth hormone, antibiotic resistance, salmon farming, mad cow, and the safety of animal foods. I liked the cartoon illustrations by the author.